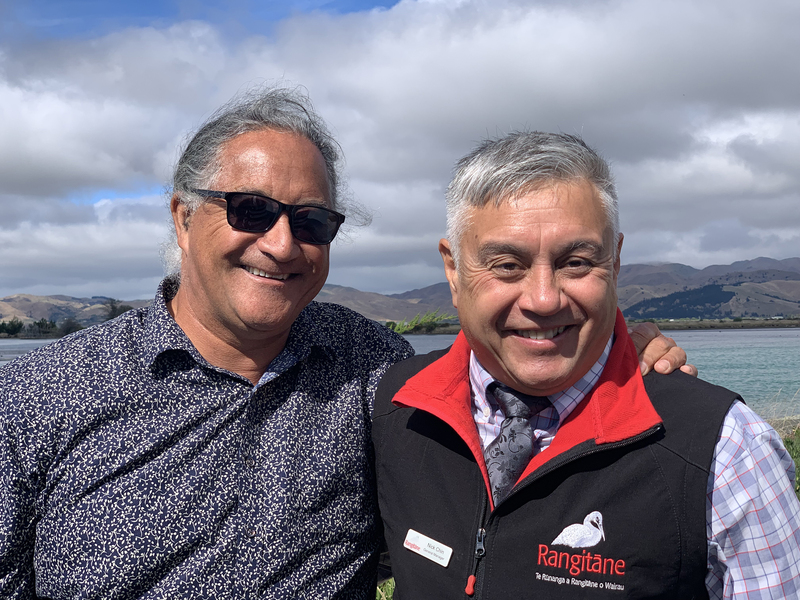 I would like to start by thanking Wendy Hynes for her support and to recognise the mahi she has put into Rangitāne o Wairau as a Trustee and Chairperson. I would like to welcome the new Co-Chairs Janis de Thierry and Calvin Hart who make a great team. I would also like to welcome our Kaiawhina, Taylah MacDonald who has started helping out in the office on a casual basis. It is great to have Taylah’s youthful cheery enthusiasm in the team. 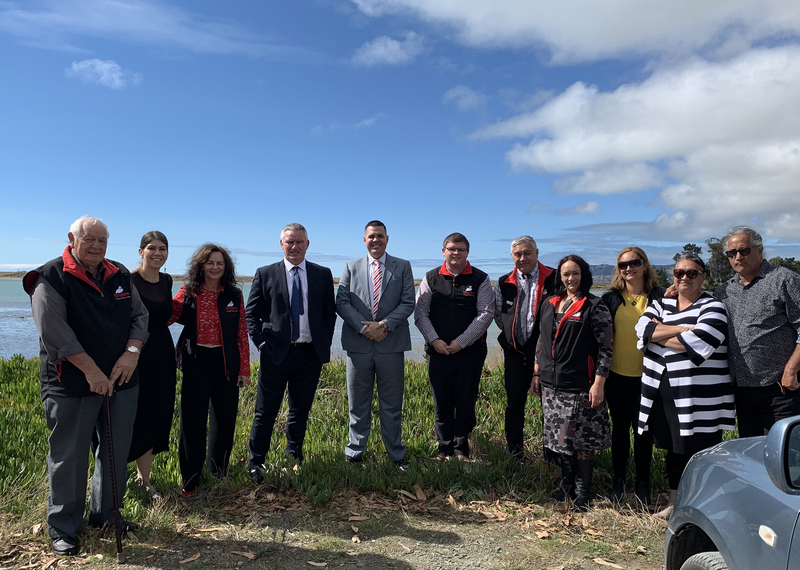 We had an impromptu meeting with Minister Kelvin Davis recently to discuss plans for Tōtaranui 250 events as part of the Tuia 250 commemorations. The Minister was very keen that this commemoration leaves a lasting cultural legacy. To support this we are working on several cultural events towards the end of November. We will have more details soon once they have been confirmed. The second wānanga on the proposed drafting of the Conservation Management Plan for Te Pokohiwi and the Wairau Boulder Bank will be held with Tina Porou this Saturday, 1-3pm at Ūkaipō. All iwi members are invited to attend. The Ōtautahi focus group hui for Tangata Rau Reo Kotahi will take place next Tuesday, 9 April, 6pm-7pm followed by a light dinner. This will be held in the Sydenham Room, South Library, Colombo St, Ōtautahi. We will need to have your membership number on the register so please contact the office on (03) 578 6180 if you would like to attend. Professor Rangi Mātāmua will be giving a kōrero on Matariki at Ūkaipō next Thursday, 11 April at 6pm. This will be an enlightening and entertaining presentation and is highly recommended. We have 30 tickets reserved for Rangitāne iwi members, please call the office if you would like one. Tickets are free so be quick, its first come, first served whānau. Please note Waiata Sessions for Kaumātua take place every Friday, 10-11.30am at Tuamātene in the wharekai. I would like to acknowledge and thank Kowhai de Thierry for helping with this. Please give the office a call if you need transporting there and back. The Trustees and Directors met last Friday. A key agenda of the meeting was the business plan for RHL and RIL for this year and the next 5 years. This year’s AGM will take place on Saturday, 5 October 2019. We will have more details in the coming months. We are advertising the Pou Taiao (Environmental Manager) position again. Essentially we are seeking someone with Māori planning experience to help manage environmental submissions and issues. This can be a part-time position and could be ideal for someone with a young family. For more information and a job description go to Our Vacancies on our website. Most of the repair work on the wharenui at Tuamātene has been completed, we are now awaiting a new roof and tree pruning. We will have details of the re-opening in the next couple of weeks. Te Pūtahitanga o Te Waipounamu Whānau Ora Symposium 2019 will take place next week from 10-12 April at Christchurch Town Hall. One of the guest speakers is Emeritus Professor Sir Mason Durie – one of New Zealand’s most highly respected academics whose research on whānau development provided an important platform for Whānau Ora. Guest speaker at Symposium Dinner this year is Minister for Māori Development Hon. Nanaia Mahuta, with entertainment by the Modern Māori Quartet. You can register for the full event (which includes the Symposium dinner on Thursday night), one day, or for the Symposium Dinner. There are also student rates available. For more information and registrations go to Whanau Ora Symposium 2019. PHOTO 2: Minister Kelvin Davis and Hoturoa Barclay-Kerr pictured at the Wairau Bar with Rangitāne o Wairau representatives.